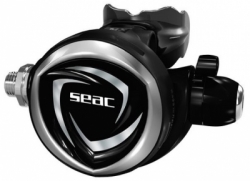 The SEAC DX200 is your best bet if you want a versatile, lightweight regulator that delivers maximum performance. The balanced diaphragm first stage is forged brass, allowing a minimizing weight and size while ensuring constant performance in demanding conditions, throughout the dive. 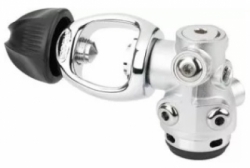 The X200 balanced second stage is balanced as well, with low-friction metal components in an innovative design. The second stage controls for inhalation effort and airflow are easy to use, even with gloved hands.